The most critical element of formation is that of discernment. There are tried and tested method for discernment. While it begins and ends with prayer, other elements are critical: research, reading, meeting, conversations with Franciscans, and accompaniment. The stages of formation are reasonably the same across most religious institutes within the Catholic church. It begins where you are now, at this page, and as it began with all Franciscans: seeking answers to important questions. You explore, ask questions and see if the answers resonate with you. This is the Inquiry Stage of the formation process. After that Inquiry Stage, and if you remain interested, and if we have caught your attention, you enter a new phase of Aspirancy: you aspire to become something that seems off into the future. You develop a closer and more connected bond with the Franciscans. You may spend some time visiting our communities and getting to see us up close. It is during this stage that you begin candidacy, which means we also get to know you better, ask questions and formally interview you. If after a number of interview, we appeal to you, and we assess that there is a true vocational movement towards us, then the candidate enters Postulancy, which means you live within a community for 9-12 months. If all goes well and you are happy with the direction you are taking, then together with you, we assess whether you are ready for Novitiate. This next phase is a 12 month period of intense formation, prayer and service. It is during this period that you formally enter the Order of Friars Minor, the Franciscans. At the end of this 12 month period, and if you remain happy with your choice, and we come to understand that our life is an authentic and viable life choice for you, then you profess first vows: to live without anything of your own, in chastity and in obedience. This first profession begins a period of temporary profession, where each year you renew your vows, and where we jointly discern the pathway forward. During temporary profession we discern with you how you would like to be a Franciscan Friar, as a priest or brother, and what training you need for your own ministerial formation. 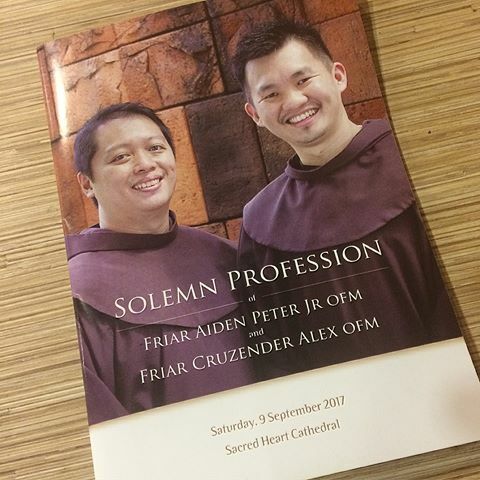 After 3-6 years of temporary vows, and after application, you profess final or solemn vows as a Friar Minor. Beyond the 12 month canonical period of novitiate, the other stages of formation are very much tailored in length to suit the particular person. 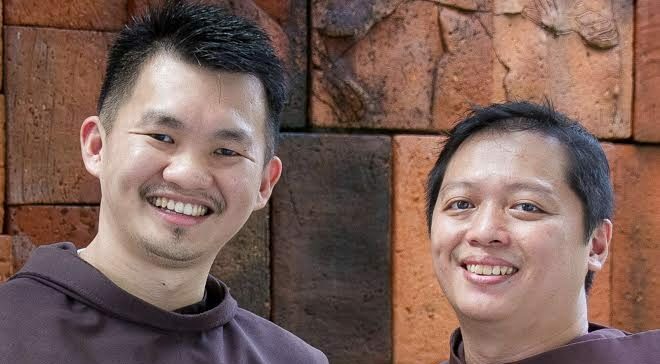 Formation as a Franciscan happens in various places: Sydney, Melbourne, California, Singapore and New Zealand. These days it is a process of discernment by the friars as to where the formation takes place. Formation is dynamic. It builds on who you already are as a person. Formation calls you to explore the ways that you can give yourself to others and it tests your capacity to do so as a member of a fraternity of brothers: the Franciscans.